Sequel to the ABBA inspired musical. Contrary to what some people may believe, there was in fact something in the air that night when the stars shone bright as Mamma Mia! Here We Go Again finally sang and danced its way onto our cinema screens last Friday: that something was an atmosphere of sheer delight. Directed and written by Ol Parker, this long-awaited sequel to the 2008 jukebox musical Mamma Mia! (starring much of the same cast) produces similar feel-good vibes to its predecessor. Be prepared to get the ‘ABBA Gold’ Album on repeat again, because this crowd-pleasing franchise is back with a bang. Though it’s been a long decade for us, this impressive prequel/sequel is set five years after the first film while also featuring flashbacks of times gone by. At the end of the 1970s, we follow young Donna (Lily James) on her post university graduation adventure. She embarks upon a boundless journey of soul-searching and along the way, we not only encounter the expected nods to the previous film, but we also see how Donna came to live on the beautiful Greek island of ‘Kalokairi’ after her run-ins with the younger versions of Harry (Hugh Skinner), Bill (Josh Dylan) and Sam (Jeremy Irvine) - her daughter’s three potential fathers. In the present, history seems to be repeating itself on the little picturesque island as Sophie (Donna’s daughter played by a wonderful Amanda Seyfried) carries on her mother’s dream by opening the newly renovated ‘Hotel Bella Donna’ at the same time as finding out she too is pregnant in the exact place as Donna had been all those years ago. As we chop and change between past and present, it goes without saying that a pre-cinema viewing of Mamma Mia! is really needed to enjoy and get the most out of this one. That said, the script is so clever and despite the judgemental preconceptions of a number of people, Parker does a superb job. Not only does the prequel/sequel concept work well, but the feature also looks elegant and sharp. 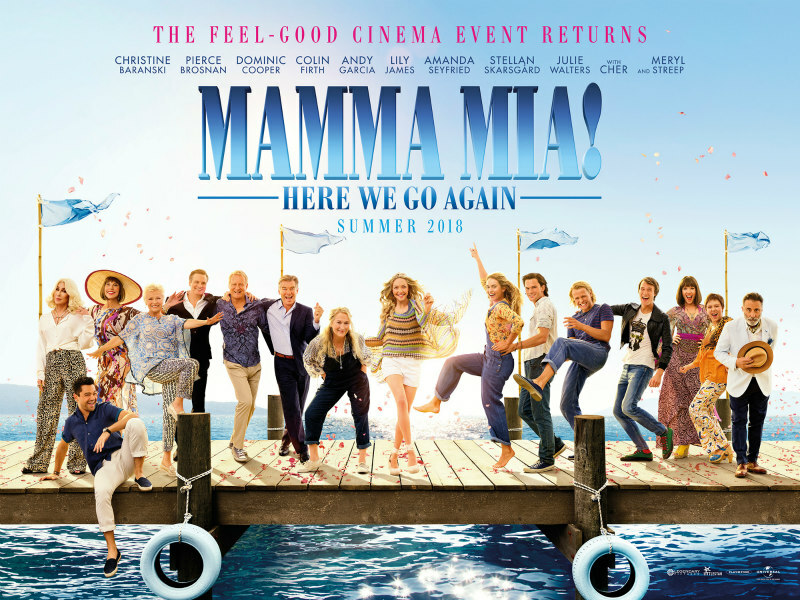 Indeed, the way the film moves seamlessly from one era to the next without any feelings of ‘wait, how did that happen?’ also adds to the enjoyable flow of Mamma Mia! Here We Go Again. Likewise, the particularly apt casting of the newbies really helps as well. James is not only wonderful at injecting a youthful energy into Donna, but also at respecting and retaining a large chunk of Meryl Streep’s characterisation. The younger back-up duo of the ‘Dynamos’ are great too with Jessica Keenan Wynn as young Tanya and Alexa Davies as young Rosie proving perfectly suited to their respective roles. Meanwhile, the returning cast are as great as ever. From Pierce Brosnan sticking more to what he does best in dramatic acting rather than singing (even when he does sing it’s bearable), to the Baranski/Walters double act of non-stop hilarity, you won’t be disappointed. The new additions are a real laugh as well, particularly Cher as Sophie’s Grandmother Ruby and Omid Djalili as the amusing Greek Passport officer (don’t leave before the very end - and I mean the very end, credits and all!). A point of significance from Mamma Mia!, according to Benny Anderson - one of the great musical maestros behind it all - was that the songs had to tell the story. With the first outing achieving that aim, Mamma Mia! Here We Go Again follows that mantra even more successfully. 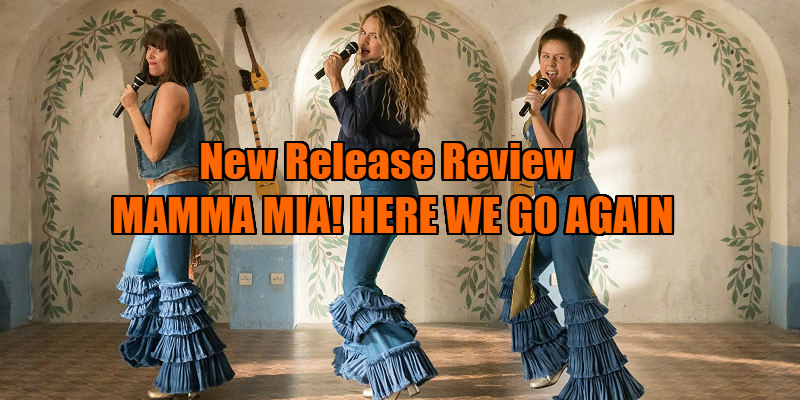 Not only do you want to laugh, dance, and sing along as you did before, but because of the script and the use of ABBA’s songs, there’s a genuine emotional connection to the characters this time around that feels more intense and meaningful than in the original. Although that connection may be bolstered by the elation of seeing everyone on screen again, it’s probably more to do with the far more emotionally vulnerable storyline (a heart-wrenching, reinvigorated ‘My Love, My Life’ really does get you teary). Despite being slightly flat in its beginnings, this movie does get going and is absolutely worth the wait. 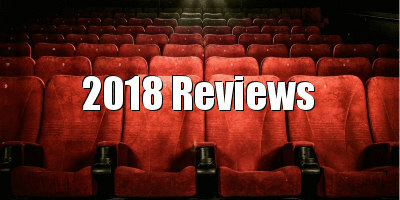 In films such as this, you can’t properly appreciate or enjoy them for what they are if you simultaneously attempt to deconstruct every single detail of the plot, casting or acting: be realistic, these movies are not made to take award ceremonies by storm; they’re made to entertain and entertain well. As a result, Mamma Mia! Here We Go Again is a perfectly weighted, if not better, sequel to the original, and unless you’re totally unable to enjoy the musical phenomenon that is ABBA, or this film’s hilarious script and emotional rollercoaster, then this musical feature should simply be appreciated for what it is: a slice of wondrous cinematic escapism. Mamma Mia! Here We Go Again is in UK/ROI cinemas now.